Fayetteville, GA 30215 GPS Coordinates for the Sales Center: 33.434748,-84.523929 Directions to the South Shore of The Canoe Club (Sales Center): From Fayetteville: From GA Highway 85, take GA Highway 54 West and travel approximately 4.5 miles. Turn left on Huiet Drive and travel approximately 1/2 mile to the entrance of The Canoe Club. Follow the community signs to the Lake Cottage and Sales Center. 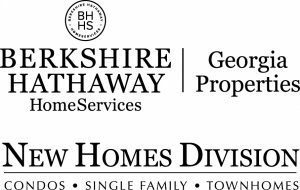 From Peachtree City: From the intersection of GA Highway 54 and GA Highway 74, follow GA Highway 54 East approximately 5 miles. Turn right on Huiet Drive and travel approximately 1/2 mile to the entrance of The Canoe Club. Follow the community signs to the Lake Cottage and Sales Center. From Atlanta: Take I-85 South to Exit 61, Peachtree City/Fairburn. Turn left on GA Highway 74 and travel approximately 2.5 miles. Turn left onto Sandy Creek Road and travel 6.5 miles to GA Highway 54. At GA Highway 54, turn right and travel approximately 3/4 mile. 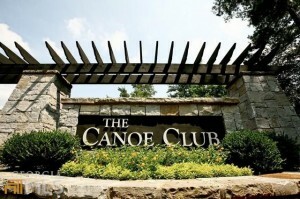 Turn left on Huiet Drive and travel approximately 1/2 mile to the entrance of The Canoe Club. Follow the community signs to the Lake Cottage and Sales Center.